FIJ grant recipient Lucinda Fleeson has been in Nepal to help a team of journalists report on the aftermath of the massive 2015 earthquake that toppled centuries-old buildings. The temblor killed some 9,000 people and left hundreds of thousands homeless. The team has been analyzing data and tracking the progress of rebuilding. NiemanReports recently featured the project on its website. 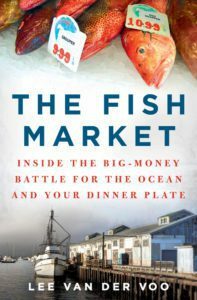 In her book, “The Fish Market,” Lee van der Voo tells the story of the people, such as small boat fishermen, and the communities left behind in this era of ocean privatization – a trend that now controls more than half of America’s seafood. Following seafood money from U.S. docks to Wall Street, she explains the methods investors, equity firms and the seafood industry have used to profit from the sustainable seafood movement. She also goes behind the scenes of the so-called “slow fish” movement that advocates both for quality food for consumers and a decent living for fisherman. For its Unequal Justice project, InvestigateWest collaborated with the Pamplin Media Group, Portland State University’s Mark G. Harmon and independent journalist Kate Willson in analyzing a decade’s worth of court records by race. The team sifted through 5.5 million court records and reported out the unique experiences of African Americans in the Portland urban area and that of Latinos in the state’s rural expanses. 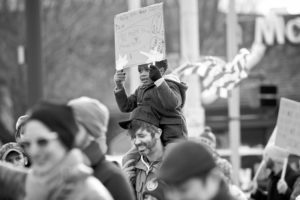 The reporting discovered that blacks and Latinos were charged more frequently for such violations as jaywalking, spitting in public, traffic infractions and drug-related offenses. State and local secrecy is on the rise but gets far less attention than similar issues at the federal level. The public’s ability to gain access to public information is often hampered by state and local governments themselves. In a five-part series for Reveal, the Center for Investigative Reporting, also published by Gannett newspapers and USA TODAY, Miranda Spivack showed the damaging effects of state and local secrecy. 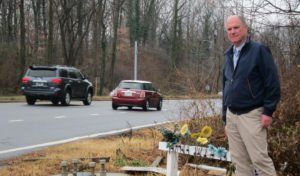 Many states, relying on an obscure federal law, withhold documents, data and reports on dangerous roads, bridges and intersections. In a related piece, she illustrated the harmful effect when private contractors gain control of public records such as court documents and crime data, limiting access and reselling information, sometimes at exorbitant prices.